Save.ca has another hot freebie coupon today! 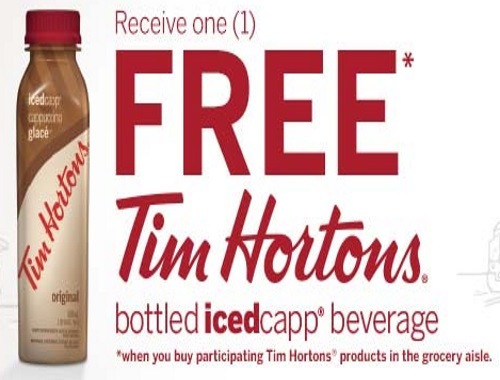 Get a Free Tim Hortons bottled Iced Capp beverage when you buy participating Tim Hortons products in the grocery aisle. Participating products include any two Tim Hortons 8ct/12ct/14ct Single Serve and/or 300g Bag coffee products or any one 30ct Single Serve or 875g/930g Can coffee product. This is a print coupon. Get yours while supplies last. Please note, I've also spotted this coupon in grocery store aisle recently if you don't to print it, you might find it there.